Netshoes is one of the biggest online retailers in Brazil — where Facebook is growing rapidly. Netshoes’ website draws roughly 17 million visitors per month. The company wanted to tap into the social network to sell more of its products, partnering with Facebook Strategic Preferred Marketing Developer Kenshoo. Through Kenshoo’s Demand-Driven Campaigns, Netshoes saw its conversion rate rise by more than 200 percent, with the cost per conversion dropping by 40 percent. 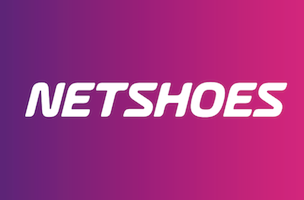 Through Kenshoo’s Demand-Driven Campaigns, Netshoes was able to automatically create ads using its catalog of roughly 40,000 items. By connecting with the back-end product feed, Kenshoo’s technology identified Netshoes’ products with the most clout on Facebook and automated targeted advertisements featuring these items. Not only could product-specific ads launch quickly, but the top-performing products could clearly be identified and prioritized to improve results and better manage spend. With DDC, any changes to product attributes, such as price, size, or availability would automatically be updated dynamically on Facebook. Additionally, the Netshoes team also leveraged Kenshoo Social’s other workflow tools to gain maximum efficiency and performance. Through easy filtering and the Advanced Search tool, the team could pinpoint specific campaigns, ads, or products to execute or schedule specific updates for more granular control. Image courtesy of Netshoes’ Facebook page.